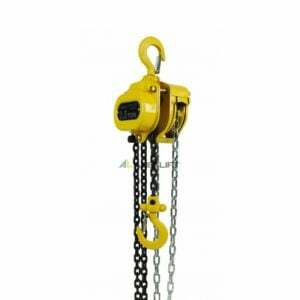 Chain blocks, also known as chain hoists, are a great investment for doing heavy duty lifting on the worksite. 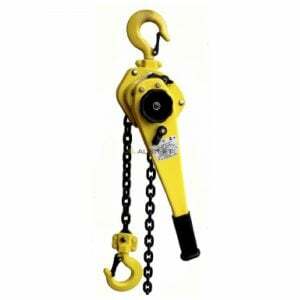 These products are used to lift and lower heavy loads by making use of a chain. Using a winching system, they come in both manual and electric varieties. These mechanisms contain a chain used for lifting as well as a hand chain and grabbing hook. 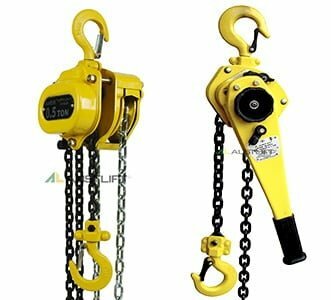 While chain blocks do lifting vertically, you can also employ multi-directional lever blocks (aka lever hoists) which can work for pulling as well as lifting. Lifting heavy loads – Being able to lift heavy loads where it once was not possible, or could only be done with difficulty, is a great advantage to business owners. Chain blocks and/or lever blocks are important pieces of equipment for any garage or construction company that do lifting or pull heavy loads. Human power and other lifting capabilities can only get you so far and can be a risky option. Since chain and lever blocks are made from either single or double fall chain configurations, you’re able to find the ideal configuration for your load weight. All About Lifting & Safety has a range of both heavy and light load-lifting chain blocks and lever blocks that you can choose from to make working with loads easier for you! If you have any questions about which configuration is right for your jobsite, then make sure to get in contact with us today.